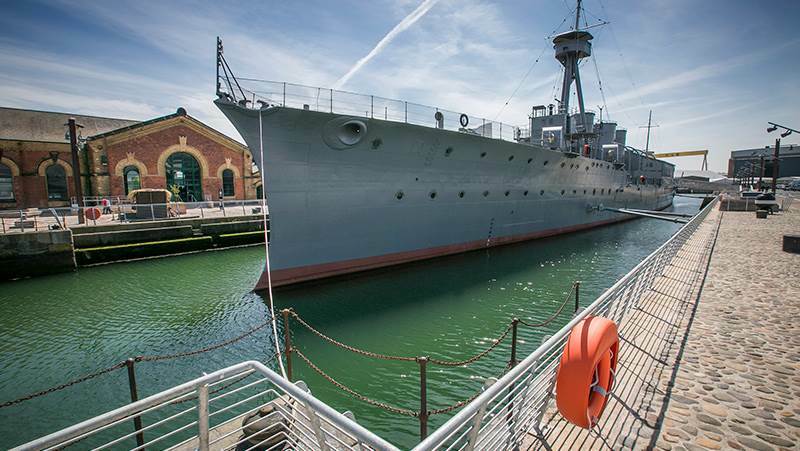 Visit one of the world’s last remaining naval vessels from the First World War. Step on board HMS Caroline and explore cabins that have been painstakingly recreated as if the crew just left the ship over 100 years ago. Get to know the crew during the self-guided audio tour and find out what life was like on board. You can also enjoy interactive exhibits includingthe Torpedo School and Virtual Access Suite. HMS Caroline is a unique survivor from the Battle of Jutland and a compelling and fascinating heritage attraction for locals and visitors to enjoy.